We’ve Arrived in DC’s Navy Yard! Bluestone Lane has opened in the Capitol Riverfront community, with a new location integrated into the lobby of the 99M building. Tenants and locals alike can enjoy the full Bluestone Lane experience at BL Navy Yard. Enjoy an elevated experience for breakfast & lunch with indoor seating, a takeaway coffee bar, and catering services. Whatever your day entails, we have what you need for the perfect break. Our signature style and touches of greenery bring a soft, warm feel to the modern, architecturally designed space. Australian beach prints adorn the walls and hanging pendants ornament the space. 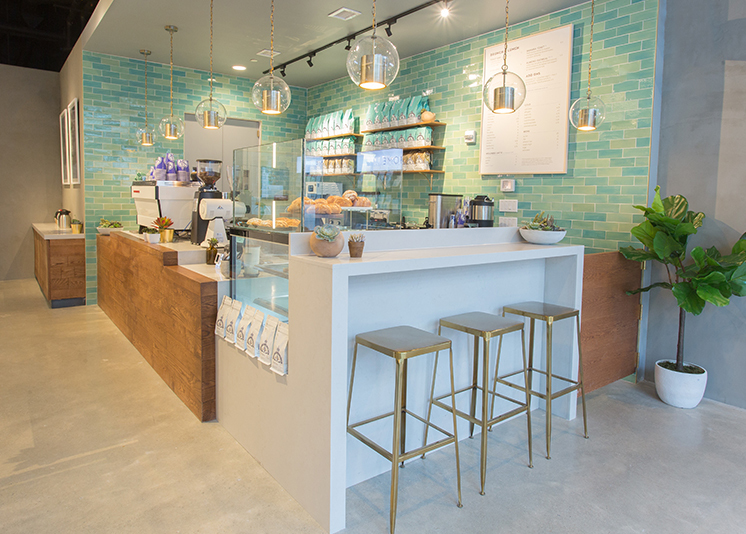 Locals can indulge in Bluestone Lane’s range of premium coffee and wellness drinks, signature cold-pressed juices, organic teas and healthy fare. The seasonal menu features our signature Avocado Smash, as well as a selection of healthy grab and go items, toasties and gluten free pastries from Husk Bakeshop.